Cooking is a great way to sharpen life skills and stir up creativity! It is also a great recipe for soaking up some knowledge from the basic cognitive subject areas. Campers will have the opportunity to learn and explore the wonderful world of foods through demonstrations, discussions and hands-on work. The week will begin with instruction in food handling, proper sanitation and kitchen safety. Campers will be busy at work using practical techniques to produce the recipes of the day that can be easily repeated at home. 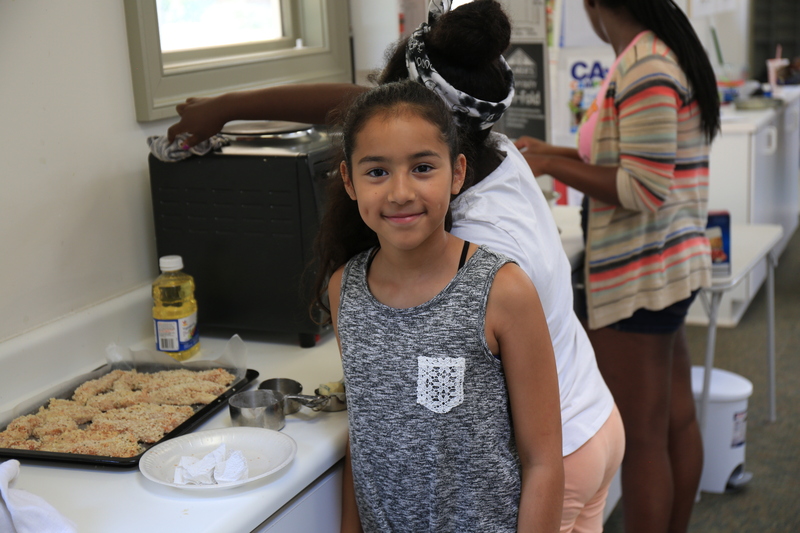 As the week progresses, campers will gain practical knowledge in the correct use of appliances, healthy meal planning, portion control and etiquette. This unique opportunity will also include traditional camp fun such as games, field trips and recreational swimming. *Parents: Please let us know of any dietary restrictions, as we will try our best to accommodate them. Session 1: Welcome to Hogwarts (butterbeer cookies, fish and chips, and more). Session 2: The Wonderful Meals of Disney (favorite meals from Disney movies, including ratatouille and beignets). Session 3: Enter Wakanda (African-inspired dishes). What to bring: Campers must wear closed-toed shoes, and it is suggested campers wear loose-fitting, comfortable clothing and socks. A hat and sunscreen are recommended. Campers should bring a healthy, nonperishable lunch and a refillable water bottle. Two separate one-week sessions – Click here to see a sample camp schedule.